Conserving Hyper-endemic Udzungwa Restricted Amphibians (CHURA) aims to research the conservation needs of some of Africa’s rarest amphibian species in one of Tanzania’s most threatened forests. Worldwide population declines due to habitat loss and disease make amphibians the most highly threatened class of vertebrates. The East African Highlands are rich in amphibian species but many have hardly been studied and new species are regularly discovered. This is the situation in the Udzungwa Mountains in Tanzania where the area’s many unique species are threatened by the demands of a rapidly growing human population for land, firewood and bushmeat. The Uzungwa Scarp Forest Reserve, in the southern Udzungwas, is one of the highest-ranking sites in the East African Highlands for both endemic and threatened vertebrate species. This unique fauna includes numerous strictly endemic amphibians including species known only from tiny areas (< 1 km²). The potentially ‘hyper- endemic’ status of these species leaves them highly vulnerable to environmental change. A report on the conservation situation in the Uzungwa Scarp is available below. WWCT began surveying amphibians in Uzungwa Scarp in 2010 to determine the extent of occurrence and conservation status for three of these hyper-endemic species: Wendy’s forest toad Nectophrynoides wendyae (Critically Endangered), Poynton’s forest toad N. poyntoni (Critically Endangered) and Kihanga reed frog Hyperolius kihangensis (Endangered). 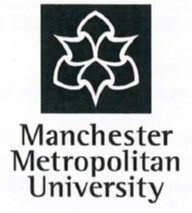 The Project is a collaboration with Manchester Metropolitan University and MUSE Science Museum, Italy.